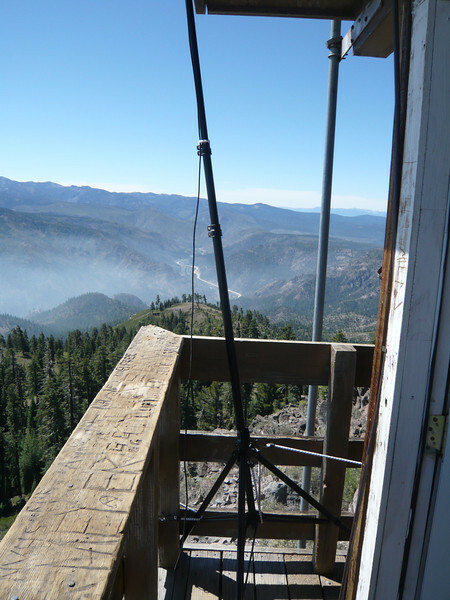 My solution was to place my Buddipole mast's tripod in the southeast corner of the lookout deck and angle the mast out over the cliff so that it would clear the roof line. I used bungees to secure the mast to the tripod and the tripod to the lookout deck's railing. In the background is the Truckee River canyon with I-80 winding its way up into California from Nevada.